Why not treat someone to one of our gift vouchers - it's the perfect present and with a bit of luck they will invite you to come along! 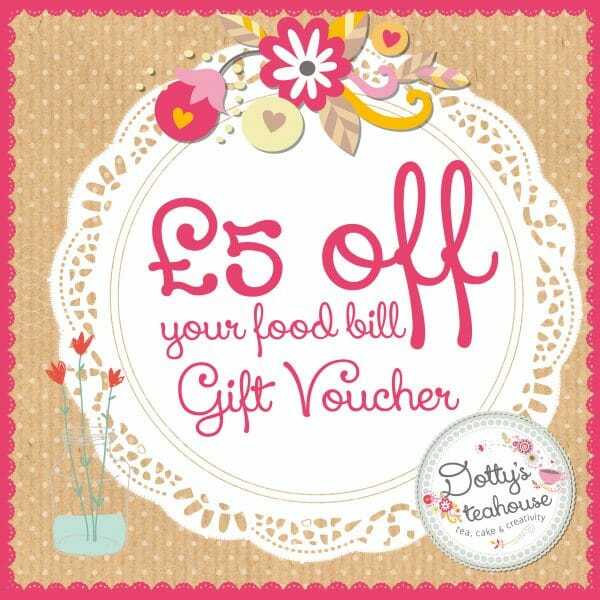 Please purchase your voucher using the options above. On receipt of payment you will be sent your voucher, which can be printed at home instantly. 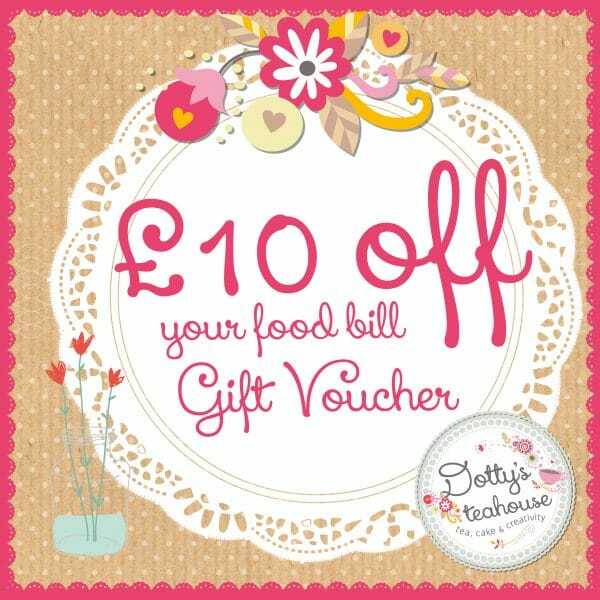 If you would prefer to receive a printed voucher, then please order above and drop us an email with your Name and Address details and we will pop on in the post or arrange for collection at Dotty’s Teahouse. 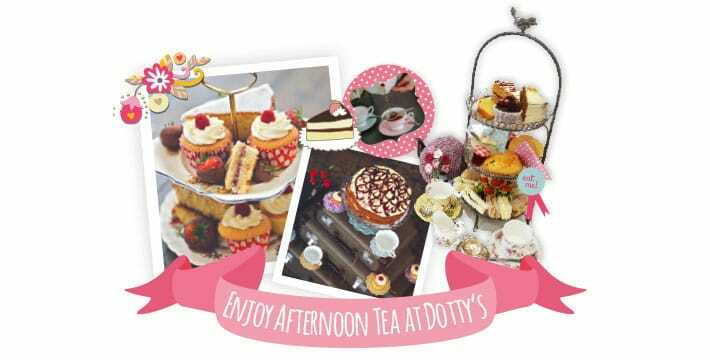 If you’re looking for a little vintage glamour, traditional teatime bites, homemade cakes and nostalgic treats then Dottys is the place for you. We take our teas very seriously and are specialists in providing a high tea experience in the comfy and nostalgic surroundings of our beautiful Teahouse in Carshalton village. 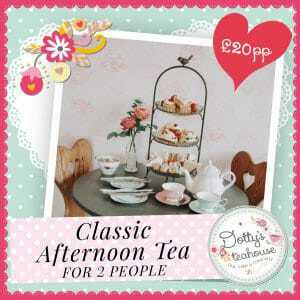 All of our afternoon teas must be booked in advance here and we are happy to accommodate bookings of up to 8 people. For bookings of 8 people or more please contact us to discuss availability. We are very pleased to be a really busy Teahouse and hate turning people away. 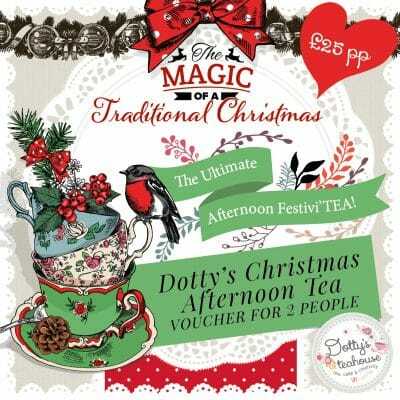 To avoid disappointment please book a table before arrival. 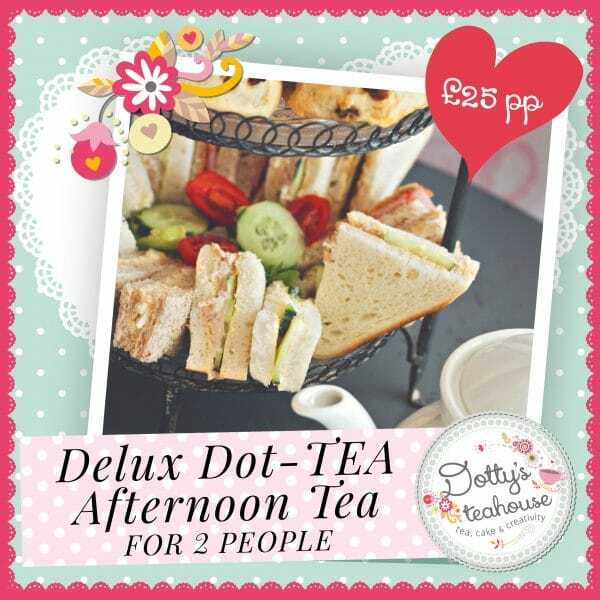 BOOKING IS ESSENTIAL FOR OUR AFTERNOON TEAS AND REQUIRES A 50% DEPOSIT. We will be in touch to confirm availability.